We restore bulk storage tanks to their original luster throughout the Southeast and along the Eastern Seaboard. We clean and paint to look like new. All valves and piping are painted the required colors. Graphics (customer furnished) are reapplied to spec. All of this is done efficiently and economically. This process makes the tanks more presentable to your customers and prospective customers. 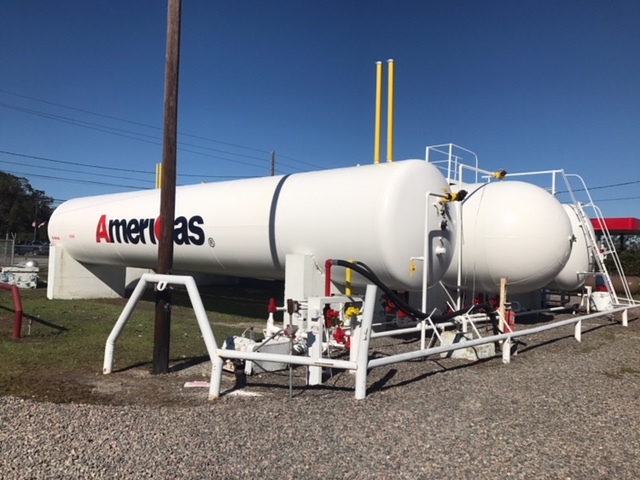 We have been working in the propane industry since 2007 and look forward to continuing our tradition of providing excellent service to our customers for years to come. Use the form below to contact us regarding your tanks. You may also email or call us. For job opportunities, please email us your resume. We’re always looking for reliable technicians that are as enthusiastic about customer service as we are.